Google Images started as a way to quickly and easily find photos and images online but as the Internet evolved and mobile devices exploded in popularity, the way people use Google Images has also changed (and not always in an organic or natural way). Cathy Edwards, director of engineering at Google Images, notes that most people now use Images to find additional information regarding a specific topic and to help them communicate and express themselves. As such, Edwards said Google is now seeing millions of searches each day for GIFs. These animated images are increasingly popular among social media users, in text message exchanges (along with emojis) and even in the fading world of online forums. It’s no surprise, then, that Google is punching its ticket aboard the GIF express with the recent acquisition of Tenor, a GIF platform for Android, iOS and desktop. This is a rather significant get for Google considering Tenor’s user engagement. 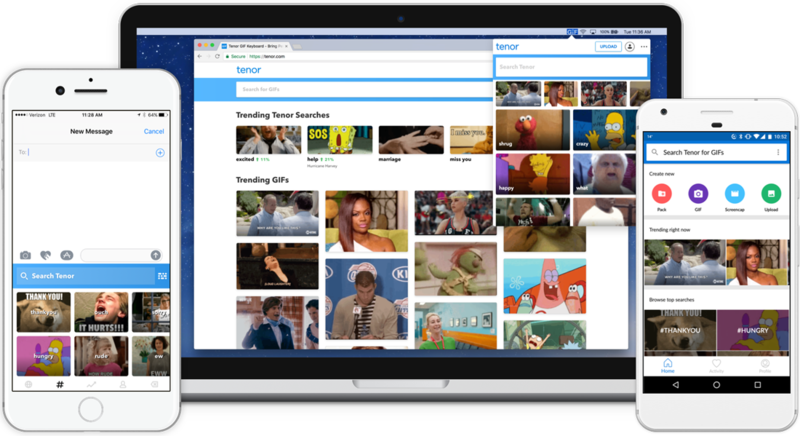 As of February, Tenor said its platform was being used to search for GIFs more than 400 million times a day and 12 billion times a month. The company also released its first sponsored GIF late last year and has since worked with dozens of major brands. Tenor will continue to operate as a separate brand under Google, Edwards and Tenor CEO David McIntosh confirmed. Financial terms of the deal were not disclosed.